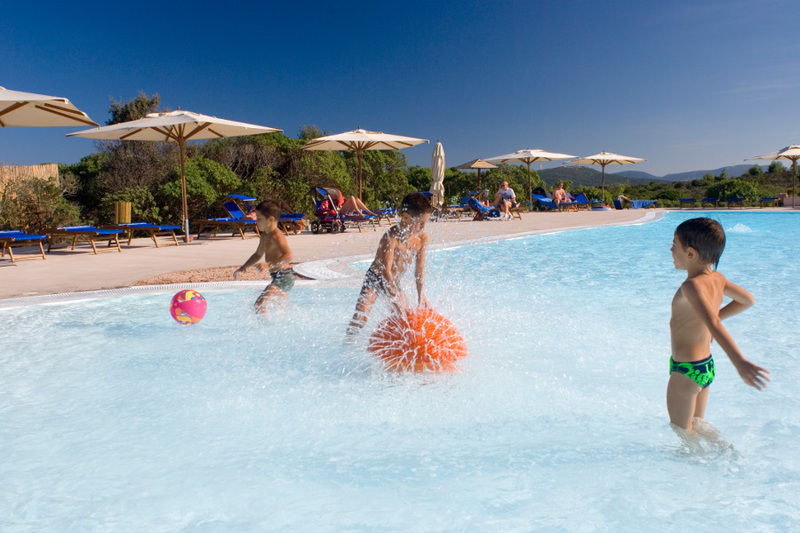 Ericaland at the Resort Valle dell’Erica in the North of Sardinia, a 5 star space dedicated to children of all ages complete with exclusive services. 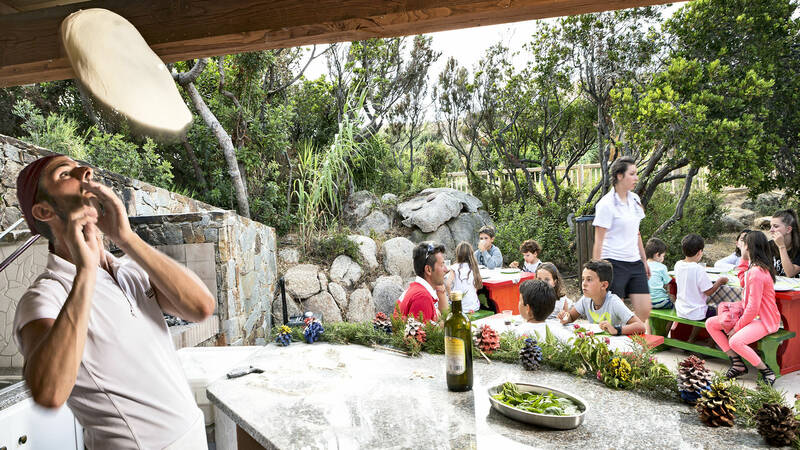 Ericaland is the jewel in the crown of the Resort Valle dell’Erica with safe spaces outside and inside and qualified staff to look after your children and leave parents free to enjoy the holiday in complete relaxation. 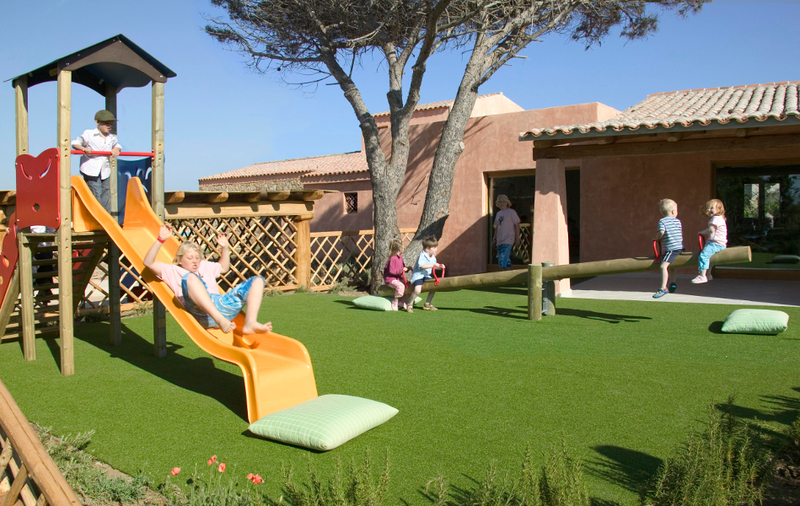 This special area dedicated to families and fun for children includes playgrounds and a mini-adventure park, cinema, Soft space, Nap room and creative spaces. For families with very young children there is also a free nursery with bottle feeding preparation area. 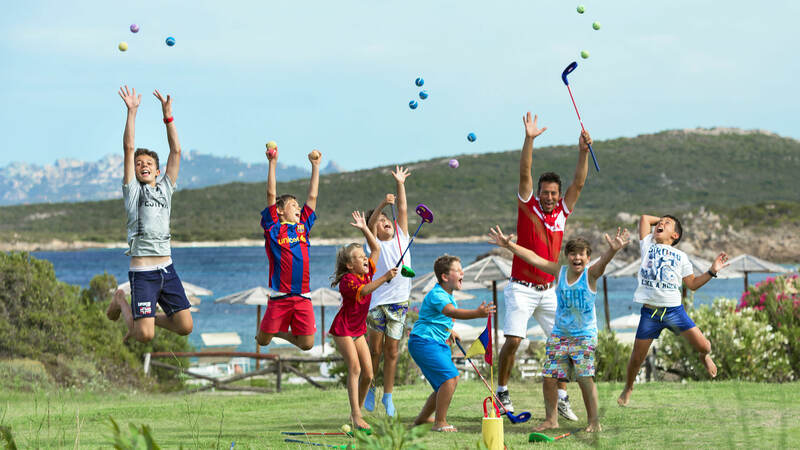 Among the free time activities there are workshops for making jewellery and souvenirs from things found in nature, a five-a-side football pitch, mini-hockey on grass, volleyball, golf, swimming and water-polo lessons. There is also a swimming pool dedicated entirely to children complete with water games and separate from the adult pool. After dinner there are entertainments and little shows for children leaving parents free to enjoy the evening. Free nursery with bottle feeding preparation area provided with specific equipment (high chairs, push chairs, sterilizers, bottle warmers, baby intercom phones, changing tables, cots) and everything necessary for feeding babies: vegetable soups and purées, fruit and meat stews, biscuits, yoghurt, milk, water and fruit juices. Free push chairs available – to be requested at time of booking. Restaurant-pizzeria with wood-fired oven and grill open for lunch and dinner with regularly changing menus and offering fresh authentic produce to enjoy in the company of new friends while always under the supervision of entertainment staff (with extra charge at lunch for children on half board). Baby Club for babies from 2 to 3 years with qualified staff and extra charge. A medical certificate is necessary for access to the Baby Club stating that the child is free from contagious or infectious diseases and which has been issued no more than three days prior to arrival. Free childminding service for children aged from 4 to 9 years with a team of professional and specialized staff, 7 days a week from 09.00 to 23.00. 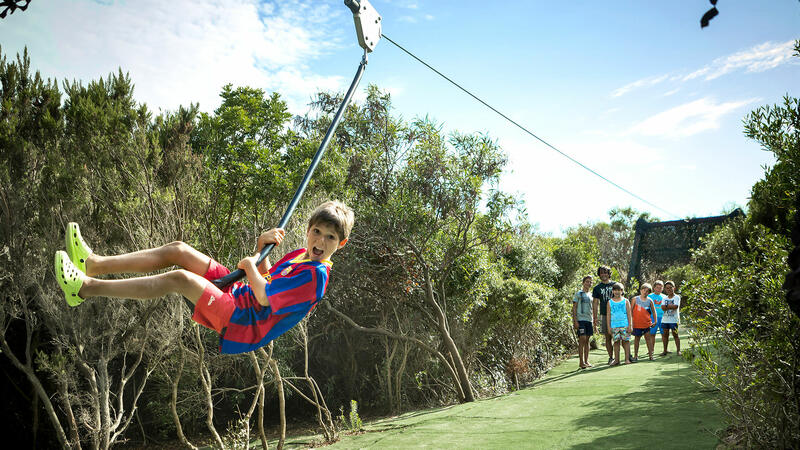 Lots of free time activities free of charge including: snorkelling, canoeing, five-a-side football, golf lessons, volleyball on grass, swimming courses, multimedia room with high definition screen for Nintendo, Wii, Playstation, Xbox, all free. 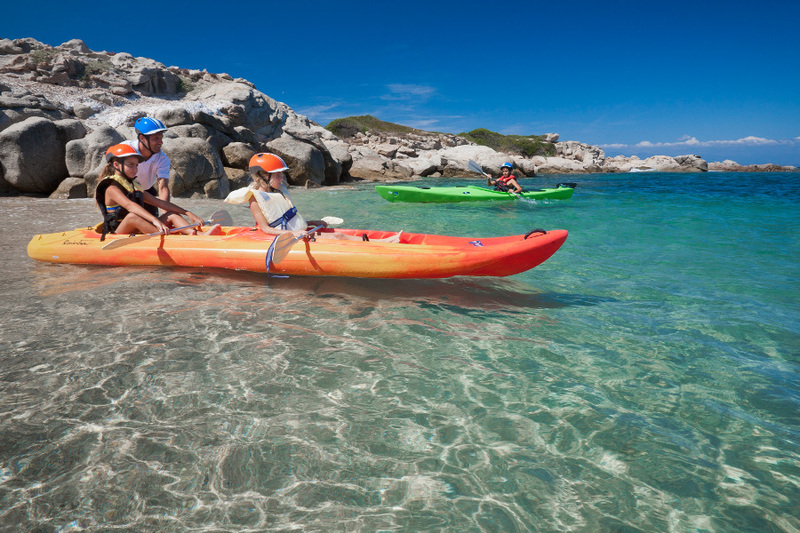 Memorable canoeing adventures along remote stretches of coastline bordering the resort, discovering beaches and wildlife; a Robinson Crusoe day including photo safari and lunch on the beach. 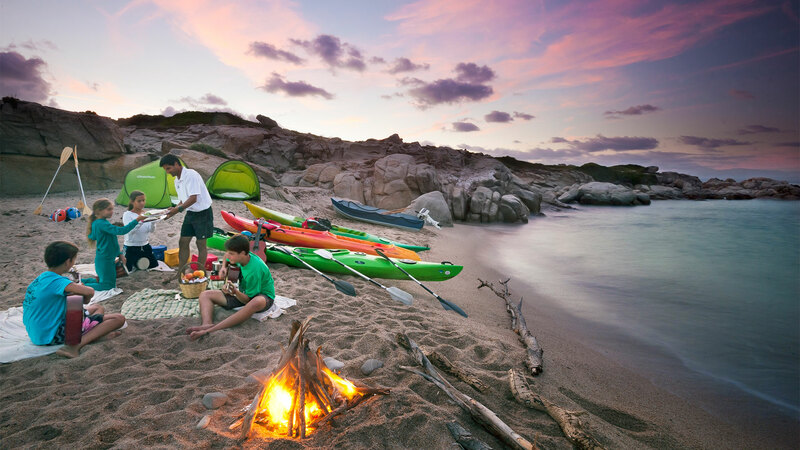 But the day doesn’t end at sunset: instead there is a night out under canvas in a nearby bay. After dinner on the beach and time spent watching the stars, we return the next day, full of memories and good feelings. 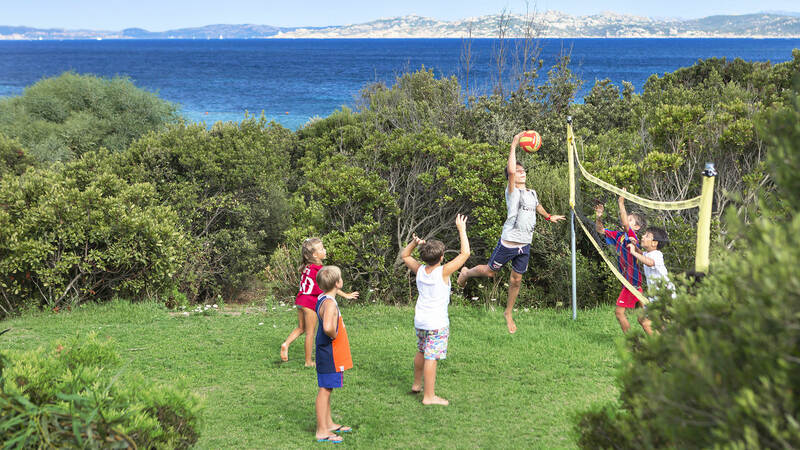 Sailing, windsurfing and kitesurfing classes at a renowned school in Porto Pollo, “paradise for young water sports lovers” just 15 minutes from the resort (service to be paid for). Transfer service from the resort with extra charge. This service should be requested at time of booking with payment to be made in the hotel. 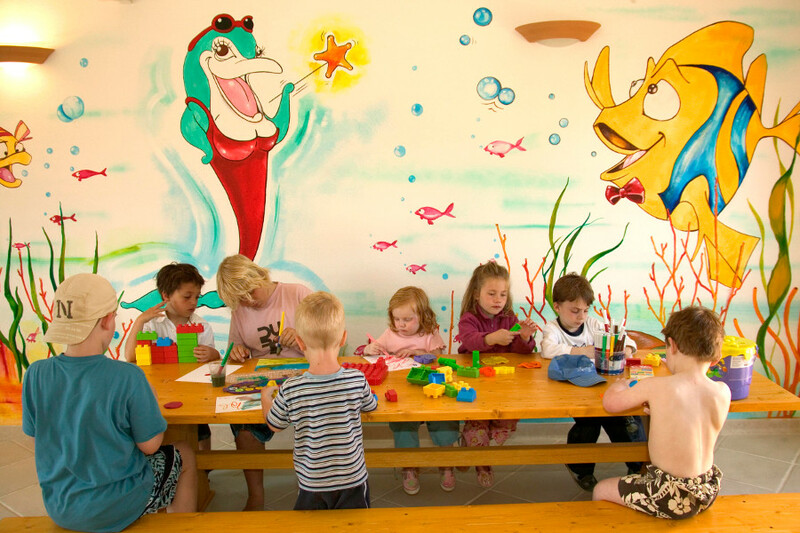 Our service is for children from 2 to 3 years old, working only and exclusively at the mini club from 9 am to 11 pm with personalized assistance for a maximum of 4 children per operator.